Pure tungsten and molybdenum products are important materials for sapphire growth furnaces. Tungsten and molybdenum products for sapphire growth furnaces are mainly produced by the tungsten and molybdenum materials which purity higher than 99.95% . Including tungsten crucible, tungsten plate, tungsten heat shield , tungsten wire, tungsten electrode screen, Tungsten drum, tungsten heat shield, molybdenum crucible, molybdenum insulation screen, molybdenum heating element, molybdenum hot zone, molybdenum support frame and molybdenum electrode screen. In addition, tungsten rhenium wire is also a necessary products in sapphire furnace. The products for sapphire growth furnaces are hard metals with colors steel gray to tin white , high purity tungsten can be sawed (pure tungsten is brittle, not easy to process). Tungsten processing methods have forging, stretching, impact. In all the metals, tungsten has the highest melting point (3415 ℃), the lowest vapor pressure. Under the highest tensile strength (1650 ℃). Anti-corrosion performance is very good, most of the inorganic acid on its erosion is very small. In the air, it will form a layer of protective oxide on the surface, but at high temperatures will be completely oxidized. Molybdenum products are also a refractory metal with high temperature resistance and high melting point. Sapphire growth furnace is designed to cultivate sapphire single crystal by kyropoulos method. This method is by heating the raw material (aluminum oxide) in the tungsten crucible to the melting point of 2050 ° C or more, and then gradually decreasing the melting temperature and crystallizing it into special particles. The growth furnace is constructed in a airtight crystallizer with a special heat-insulating enclosure with lid and heater. 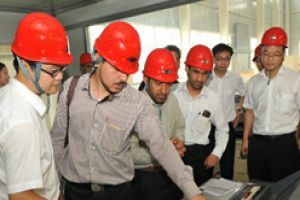 So there will be a sapphire crystal furnace with tungsten and molybdenum products. The important carrier of the sapphire growth furnace are the tungsten and molybdenum crucible. The iridium crucible itself is a heating element, but tungsten and molybdenum crucible will less use as a heating element. Ikal-200 crystal growth furnace, consist of tungsten crucible, molybdenum crucible, molybdenum shield, tungsten heating element, at high temperatures will be volatile molybdenum and tungsten atoms. There are also tungsten, molybdenum crucible itself to be the heating body. The choice of technology and hot zone setting is very critical factors. Different crystal growth methods, the use of the crucible will be different, such as the kyropoulos method (KY) generally use the tungsten crucible, heat exchange method (HEM) generally use molybdenum crucible, because the HEM need smash the whole single crystal, and the cost of molybdenum crucible is cheapest. According to the crucible manufacturing process, can be divided into sintering molybdenum crucible and spining crucible, pressed sintering crucible with low quality, low purity, short service life, the price is relatively cheap; About spining crucible, the quality, purity, density is Higher, longer life, but the cost is expensive. In domestic , sintering crucible are generally used for crystal growth furnace . The chemical composition of Sapphire crystal is aluminum oxide(α-Al2O3), is composed of three oxygen atoms and two aluminum atoms in the form of covalent bond, the crystal structure is hexagonal structure. In terms of color, pure aluminum oxide crystals are transparent and colorless. different color element ion penetration in the growth of sapphire, so that Sapphires show different colors. 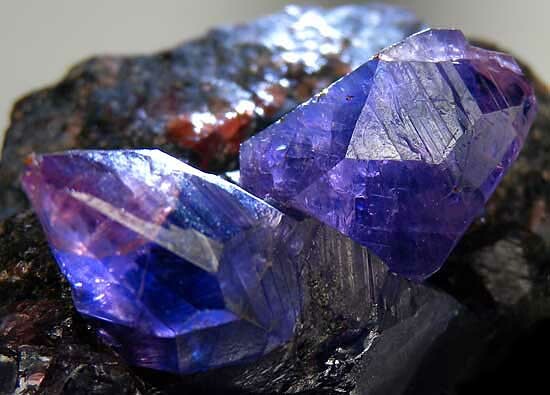 In the natural world, when the sapphire in the growth, the crystal contains titanium ions (Ti3 +) and iron ions (Fe3 +), the crystal will appear blue color. When the crystal contains chromium ions (Cr3 +), the crystal will appear red color. And when the crystal contains nickel ions (Ni3 +), the crystal will appear yellow color. The sapphire growth furnace is the key to the quality of sapphire. 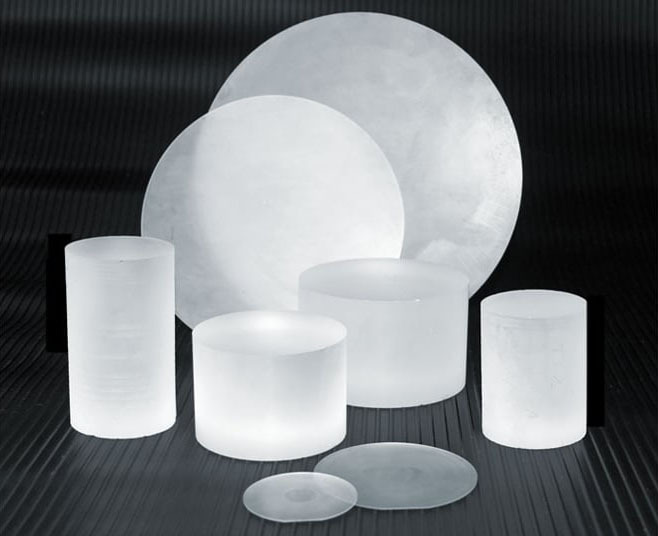 Tungsten and molybdenum products are key carrier suitable for sapphire crystal growth, and as a material, it can protect the purity of sapphire, because tungsten and molybdenum is a high temperature refractory metal, react to sapphire is not easy. Contact us: wendy@blesswmo.com for getting more knowledge.